NEW YORK (November 22, 2013) – The holiday season is upon us, which means it’s officially the busiest travel period of the year. As you begin to decorate, shop and plan your travel arrangements, it’s essential to take time to focus on preparing for your pet’s needs as well. Ruby & Jack’s Doggy Shack has the perfect tips for New Yorkers traveling this Thanksgiving and Christmas. As a pet owner, it’s common to want to include pets in the festivities while visiting friends and family. Unfortunately, they can’t always come along. Whether your pet’s packing his bags for the trip, or staying behind at an overnight facility, there are important considerations to take into account. To Bring Your Pet on the Trip is Great, But Be Sure His Vet Records Are Up-To-Date! If your pup or kitty is lucky enough to join you for the holiday journey, be sure he or she is comfortable with travel. Illness, injury, age or temperament are factors that may play a role in deciding if your pet can handle the overall trip. Also, check to be sure all pet identification tags are up-to-date. Having your pet implanted with a microchip is a smart option as well. It will improve your chances of getting your animal friend back if they become lost. If you are taking your pet across state or international borders, a health certificate is required. Domestic travel is needed 10 days in advance and international travel is needed 3 months in advance from your vet. Your pet’s vaccinations must be up to date in order for the health certificate to be completed. If flying is involved, remember to prepare for the price of pet travel! If you haven’t flown a pet before, you may be paying as much or more than for yourself depending on the airline. The holidays are crowded so the earlier you book the trip, the better. All flights have quotas for animals in cabin and they will fill up quick during this time. Always have a doggy bag packed for the plane ride in case of travel delays. Pack enough food, water and medicine! Bring a folder with some of your pet’s documents in case of an emergency while you’re away. This should include your veterinarian’s contact information, a list of veterinarians along the way and close to your destination, medical records, and acclimation certificate for air travel if necessary. Research in Advance is a Must, Don’t Wait Until The Last Minute Rush! Can’t bring your canine or feline along for the adventure? Then begin to do your homework now to scout out the best pet daycare or boarding. It’s important to narrow down your options in order to decide what facility is best for your pet. Ruby & Jack’s offers 24-hour Doggy Slumber Care year-round. The accommodations range from cozy canine condos to suites for any length of stay. Their experienced overnight staff makes regular rounds throughout the night to make sure all doggies are tucked in and ready to catch some zzzzz’s. Want to find out if your dog snores? Ask for a room with a SleepCam! Learn more about Doggy Slumber Care: http://rubyandjacks.com/doggy-slumber-care/. Ruby & Jack’s Cat Boarding Service tends to all of your favorite feline’s daily needs, from providing fresh food, water and litter to lavishing personal attention and lots of love. The specialized accommodations in their soundproofed Cattery provide cozy confines for maximum kitty comfort. The Ruby & Jack’s trained and loving around-the-clock staff are dedicated to taking care of all of your cat’s needs, from food to medications to belly rubs: http://rubyandjacks.com/cat-boarding/. If Your Four-Legged Friend is Staying Behind – Get Things Done Early For Peace of Mind! Commuting through New York City during the holiday season can be chaotic and stressful. If you’re planning on boarding your pet at Ruby & Jack’s, or at any overnight facility for that matter, it may be wise to bring him in early to avoid the heavy travel traffic. Keep in mind that many pet owners are planning on boarding during this time so it’s important to make an appointment now to avoid fully booked boarding. Leaving your furry pal behind can be difficult for a loving pet owner. Even when they are in good hands, we want them to feel comfortable, safe and happy while they are away. It’s a great idea to pack an overnight bag filled with familiar items. Their favorite treat, cozy bed, warm blanket, special toy, or a shirt that smells like you will help them to feel right at home! Before your pet comes home, Ruby & Jack’s recommend scheduling a bath for your pup before pick-up so they’ll come home to you not only happy from their own mini vacation, but smelling fresh and clean! 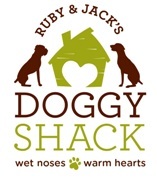 Ruby & Jack’s Grooming Shack consists of a caring staff with years of experience. All of their grooming products are natural and US-sourced. Learn more about the Grooming Shack: http://rubyandjacks.com/grooming-shack. The holiday season is a beautiful time of year but can be “ruff” when travel is involved. It’s important to make sure the journey is safe and relaxing for our pets. Research, preparation and timing are key! At Ruby & Jack’s, the staff understand how stressful New York can be, especially during this season. Follow these great traveling tips, and you and you’re beloved pet will have the best time of the year! Here at Ruby & Jack’s Doggy Shack—a place for pets filled with wet noses and warm hearts—we are dedicated to providing first-rate care for dogs and cats on Manhattan’s Upper East Side. We bring our many years of pet care experience and our passion for pets to each specially-created service we offer, from the design of our facilities to the training of our staff. Ruby & Jack’s is a home away from home for your pet, a special place for New York’s dogs and cats to play and stay. After all, we are not only pet caregivers but also pet parents, so we understand the demands placed on pet parents in New York. With services that include doggy play care and slumber care, dog walking, dog training, cat boarding, grooming, transportation, and more, Ruby & Jack’s makes pet care easy, providing the services you need when you need them. With our help you and your pets can truly have it all! Learn more at http://www.rubyandjacks.com. Facebook: https://www.facebook.com/rubyandjacks. Twitter: @RubyandJacks.